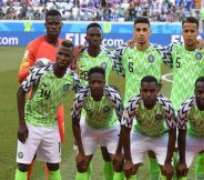 Nigeria's Super Eagles have been handed what some have termed a comfortable group at the 2019 Africa Cup of Nations after being drawn against Guinea, Madagascar and Burundi. The group is seen by some analysts as comfortable, in that Madagascar and Burundi are debutants at the AFCON, hence the Eagles are expected to get an edge over these teams based on experience. Though Madagascar was actually the first to qualify for the 2019 AFCON with two games to spare, Nigeria has won the competition three times and the Eagles will be making their 18th appearance at the AFCON. FINALLY! # TotalAFCON2019 groups are here! Which is the most exciting group?